We have the people, the expertise and the facilities to handle small modular build (box build), large industrial projects and anything in between. With an assembly team skilled across the full range of electromechanical and electronic assembly techniques, we’re able to provide both sub-assembly services and fully-tested ready-to-ship products. We source fabrication and components from trusted suppliers, and guarantee full component traceability.  Every product is manufactured within our ISO9001:2015 quality system, and we’re able to provide full product testing – there’s no need to run your own separate QC checks. We can also hold bonded stock securely, where required. Series manufacture of box build products, giving you consistent quality and a reliable source of supply to meet ongoing customer orders. Control panels for integration into products at your end, and finished control cabinets ready for the end customer. All shapes, all sizes. Cable harness assembly for in-house products, plus stand-alone cable harness assembly where projects are a good fit. PCB assembly services, including a wide range of conformal coating options to keep boards protected. Expertise in the logistics of building and shipping large scale machines, giving you peace of mind.